A beautiful and elegant way to display your flags. 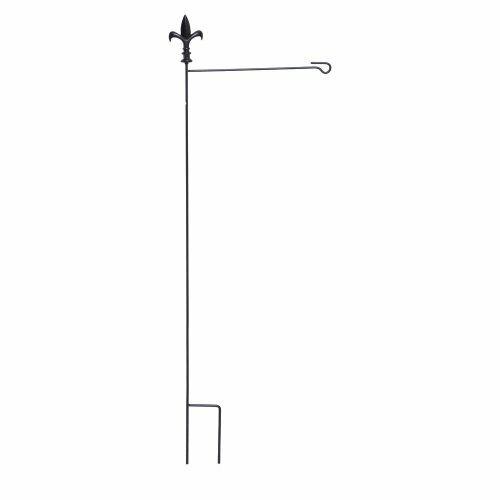 This black sturdy metal flag pole presents garden size flags, typically 13"x18". With the elegant Fleur de Lis symbol on the top, it adds a bold and classical look to your garden. 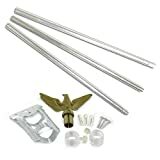 These beautiful, long lasting and durable flag poles are made with the highest quality materials. Providing you with a flag pole that's easy to change your flags every season is our goal.Not only are they easy to use, but they're made to last and last. Sure to hang your flag proudly in front of your home for month after long-lasting month.